100 artworks have been chosen for this beautifully illustrated book to represent each year from 1916-2015. They trace the story of Ireland’s creative output from the revolutionary period until today. The story that emerges through these 100 works is not one of artists gradually finding their place of honour in the republic. Especially in the visual arts it is, on the contrary, a story of never-ending argument, of works that are disliked, rejected, fought over, even painted over. Instead of the artists supporting the state and the state supporting the artists, it is a case of the artists challenging and upsetting the community and the community looking warily at the artists. This is what makes Irish art, at its best, so edgy, so embattled and so vital. They were compiled by the Royal Irish Academy in partnership with The Irish Times. The visual artworks were chosen from the RIA’s research project the five volume publication, Art and Architecture of Ireland. Most artists and writers featured in the series have been profiled in the RIA’s Dictionary of Irish Biography which outlines the lives at home and overseas of prominent men and women born in Ireland, north and south, and the noteworthy Irish careers of those born outside Ireland. 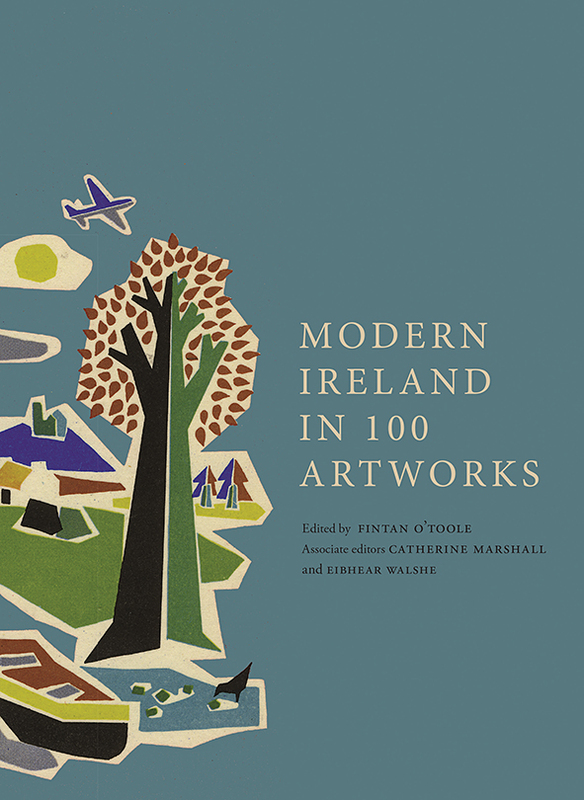 Modern Ireland in 100 Artworks, our latest publication in partnership with The Irish Times, has made the shortlist for this year’s Bord Gais Energy Irish Book Awards. '[A]s an account of developing Irishness at a time when our national identity was being formed, fought over, rejected and accepted, Modern Ireland in 100 Artworks, is unsurpassed'. Des Breen for the Irish Examiner. 'Another high quality publication from the Royal Irish Academy, 'to mark a century of creativity in the year of commemorations''. John Mulcahy for the Irish Arts Review. 'It is always artists who are trying to say the unsayable'. Fintan O'Toole, editor. ‘Art is one of the best tools to deflect racist and homophobic arguments’. Aideen Barry, artist. Fintan O'Toole is a columnist and literary editor with The Irish Times and Leonard L. Milberg lecturer in Irish Letters at Princeton University. He has written books on Irish history, politics, society and culture. He has been awarded the European Press Prize 2017 and the Orwell Prize for Journalism 2017.